February 2019 - American Limousines, Inc.
A bachelor or bachelorette party is one occasion where you can go all out, so why not get a reputably luxurious set of wheels to cruise around in? A limo rental is just the ticket to giving you, your friends, and the groom- or bride-to-be an experience they will never forget. 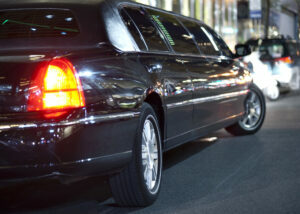 Limo rentals allow party-goers to keep the festivities going without having to wait for cab rides or stick to one area. Feel free to travel where you would like. Most companies will offer the opportunity to listen to your own music and bring drinks along, too, making it easier than ever to ensure the fun never stops. Another big perk of limo services is that your chauffeur can drive you directly to the front of your next location. You will never need to worry about finding a parking spot or taking a long walk from a parking lot. This is safer, more convenient, and it guarantees no one’s clothing or hair gets sweaty or ruined. You also do not need to worry about driving through slow traffic or dealing with annoying drivers. In fact, when you get luxury limo services, you do not need to concern yourself with what is going on in the streets at all. Just continue relaxing, laughing, and drinking with your friends, while your professional driver takes care of everything. Plan on having a few cocktails on your night out? Then, a limo rental is a safer way to travel for everyone. The group can easily stay together, and no one will have to stress about designated drivers or walking every place you go to. All in all, it is important to have fun, but staying as safe as possible is always the number one priority. Finally, you never need to worry about your privacy getting infringed on. You will have a sealed-off area with tinted windows, so you no stressing about your driver or anyone else outside listening in on your fun. Did you know that over half of limo service rental companies have less than five limousines in their fleet? If your party is coming up quicker than you expected, then you better book now to ensure you get exactly what you are hoping for. When you work with American Limousines, we do everything we can to set you up right. If you are ready to give your friends the party they deserve, then the time to invest in a limo rental is now. Do not put it off any longer, and be sure to give us a call right away! The world’s most expensive limousine cost $14 million and it’s also plated with 24 karat gold. While very few of us could afford that, we can sure charter a bus for a party or business travel. If you have a special event coming up, here are five great reasons to book a charter bus as a part of the festivities. When you do the math, splitting the cost of the charter bus rental between everyone on the bus actually saves you money, because it costs less per person than most other ground transportation options. When it comes to corporate travel, it’s easier and more cost-effective to make one payment to the charter bus company than it is to pay for airfare, rental cars, seat tickets, and luggage fees for each employee, then reimbursing them all individually. 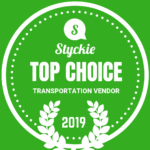 Since there have been fewer injuries and accidents involving charter buses than any other mode of travel, it continues to be considered as one of the safest means of transportation. Reputable bus services are also aware of the most current safety procedures, have first-aid kits on board, and make the safety of their passengers their highest priority. 3. It’s More Productive and Efficient. 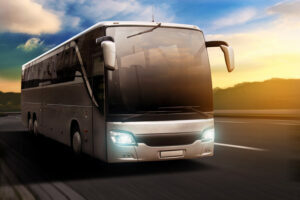 Companies opting for charter bus rental free their employees up to spend their travel time working, brainstorming, and preparing for meetings instead of driving or navigating to their destination. In addition, less time is spent in transit, because employees won’t have to waste time waiting for flights, making connections, or waiting for cabs. 4. It’s Kinder to the Environment. When a charter bus is filled to capacity, it has nearly five times the fuel efficiency of a car that is full of passengers. 5. It’s Just More Fun. It’s nervewracking to drive in unfamiliar areas and coordinate travel for large groups. Have everyone in your group meet in one place and all travel together on the same bus. Let experienced professionals who know the highways like they know their own name do the driving. Meanwhile, you and your group can take it easy and spend your time resting, sightseeing, or having a great time instead of getting stressed out. Whether you plan to rent a limo for wedding transportation, book a party bus with your friends, or send your employees to an important business conference, charter bus rental can save you time and money. You and your group will also enjoy the hassle-free ride much more! 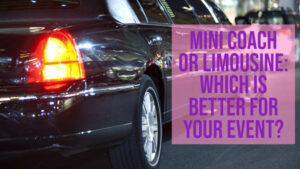 Mini Coach or Limousine: Which is Better for Your Event? Do you have a family gathering, wedding, bachelorette party, or some other big event coming up? Do you need some transportation services to help cart everyone around? Well, you may be debating between which type of vehicle to invest in. Renting a mini coach is a solid option, but limousine rentals are known for offering a fun and luxurious time, as well. So, which is best for you? Learn more about each below to help you along this decision-making process. Thinking of renting a mini coach? A mini coach is great because it allows your group to easily stay together, while giving everyone the space they need to be comfortable. There will be plenty of room to stretch out, and you can typically fit more people in one than you can a limousine. Mini bus rentals are also great because you can move around from seat to seat and chat with different people. Again, the ability to move about more freely is a definite plus, and most rentals will allow you to bring certain types of food and drink, making the outing that much more enjoyable. The one downside is that it does not quite make that sophisticated impression that limousine rentals are known for. If you are leaning more towards a limo rental for your event, then learn more about them now. Although not quite as spacious as a bus, limousines are known for their style. Around half of limo services during the week are used for more high-end purposes, serving mostly business and corporate customers. If you did want both style and space, you will probably need to shell out a few more dollars on a luxury limo service. One with a bunch of amenities is not cheap. You could invest in something with a swimming pool, bed, jacuzzi, and helipad, like Jay Ohrberg’s 1997 model, but that is probably out of most people’s budget range. That being said, most modern limousines can seat quite a few people comfortably, and there is no doubt we have come a long ways from the first limousines that could only seat four. All in all, both options provide you with the ability to keep your group together, so that you can sit back, relax, and enjoy your day. Whether you are renting a mini coach or riding in a limousine, you will not have to worry about getting off route or losing half of the people you are with because one professional driver will be handling it all. So, what are you waiting for? Invest in your rental today.